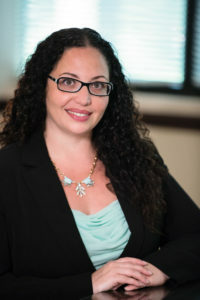 Auto Accidents – Diana I. Castrillon, P.A. Thousands of people are injured in automobile accidents every day in South Florida. Car accident attorney, Diana Castrillon, is dedicated to helping you seek justice in auto accident cases. Whether you are a driver, passenger, pedestrian or bicyclist you may be entitled to Personal Injury Protection benefits that will pay for all or most of your medical care regardless of fault and even pay for any lost wages. In addition, if you were not at fault in the accident, you may be entitled to receive additional compensation for your pain and suffering. Even minor injuries can cause significant pain. A person involved in an accident, may not realize that they are injured until several days or weeks after the injury. This is a common occurrence but the insurance companies try to say that these individuals are not truly injured. If you are injured, you must protect your rights. Let an Auto Accident Lawyer in Broward, FL, Diana Castrillon, protect your rights and help you in every aspect of your case from beginning to end. We will help you find a physician and we will work with the insurance companies to get you the best result. If you or someone you know has been injured in an auto accident, let our Personal Injury Attorneys in Davie/Cooper City protect and defend your rights. Call us now for a free consultation. We are fully bilingual and will meet you at your home, hospital, or our office. We can even meet with you on weekends or evenings. At Cecere, Santana, P.A. Hollywood car accident attorneys will fight diligently to protect your rights so that your only focus is on getting better. Call Attorney Diana Castrillon today toll-free to 800-75-FL-LAW and find out more.